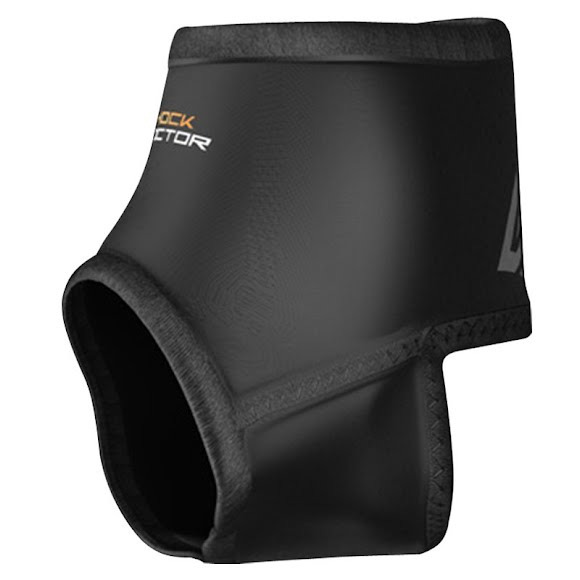 Shock Doctor's low profle, Ankle Sleeve is the solution when light support and alignment is needed. Designed with comfort in mind, the terry lining and N-Tex compression neoprene provide a universal fit and therapeutic warmth throughout sore ankle joints. Shock Doctor&apos;s low profle, Ankle Sleeve is the solution when light support and alignment is needed. Designed with comfort in mind, the terry lining and N-Tex compression neoprene provide a universal fit and therapeutic warmth throughout sore ankle joints. Comfortable low profile slip on sleeve design. For comfort and long lasting wear. Under foot stabilizes sleeve position. Provides therapeutic warmth and healing.